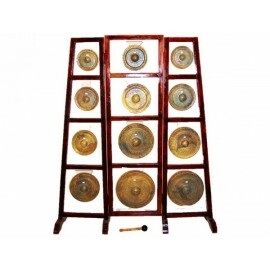 Gongs, such as we know them today, must have first come into existence in China in the sixth century, during the Wei Dinasty. 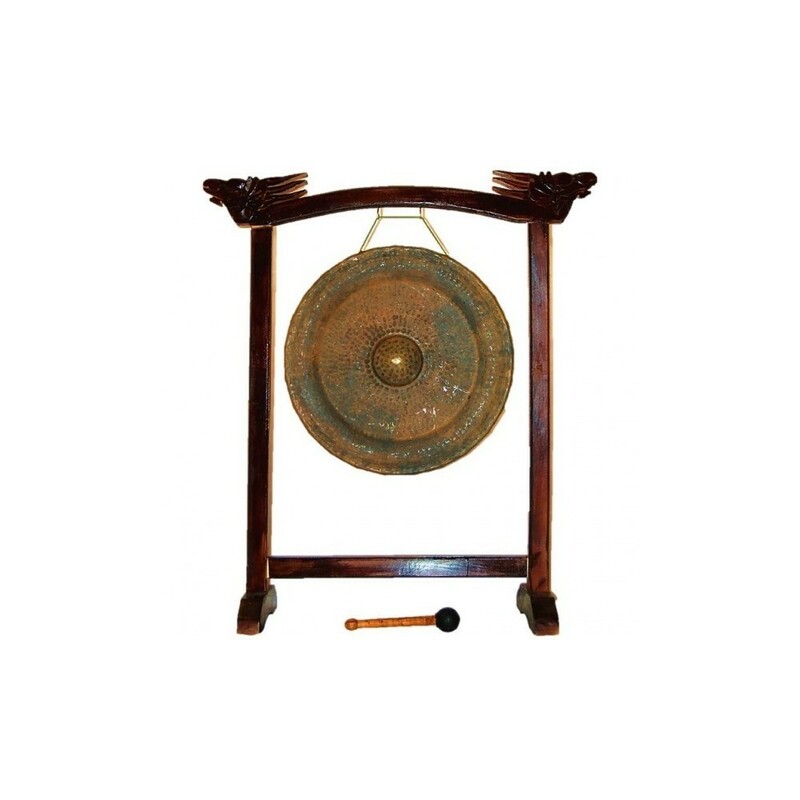 However, they are thought to come originally from Southeast Asia and Indonesia. Some iconographies on old Khmer and Javanese monuments confirm this hypothesis. 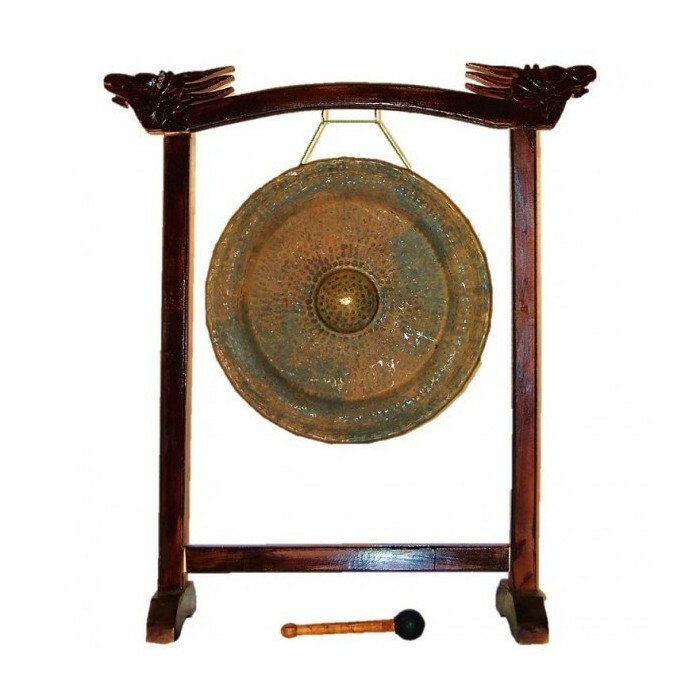 its most primitive shape, the gong was introduced to Asia under Greek influence. 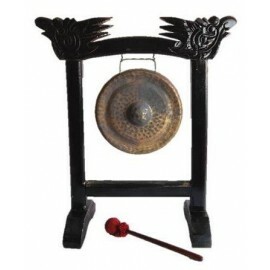 Some Greek authors mention an instrument, the Echion, which was used to imitate the thunder and for some ritual and funerary ceremonies in Eleusis and especially in Sparta. 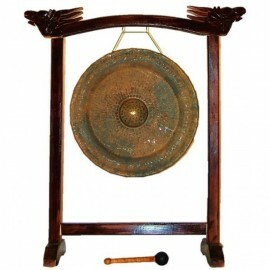 Alexander’s expedition would take this instrument to the East, while Buddhism would later contribute to its spreading. 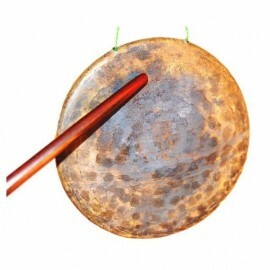 Gongs are today among the most representative Asian and Indonesian traditional musical instruments; besides, due to their engravings, many of them possess a rare artistic beauty. 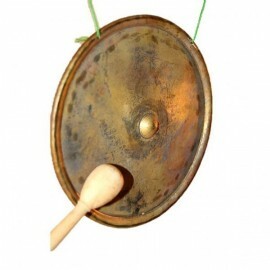 It was not until the end of the eighteenth century that gongs began to be used in the West, but they did not earn a place for themselves in orchestras until the twentieth century. 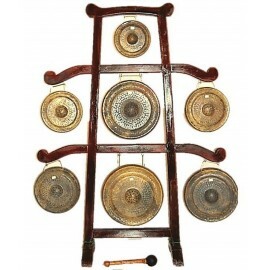 An alloy in which bronze predominates is more common that just bronze. The complex secrets of its manufacturing, which do not exclude the use of magical formulae, are jealously kept by the forgers. 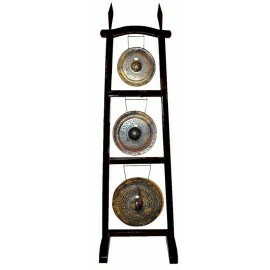 Size: 60cm x 8,5cm / 24" x 3"